I have a problem with Pac display. I charge a test strategy with a variable called test, which I want to visualize in pac display. 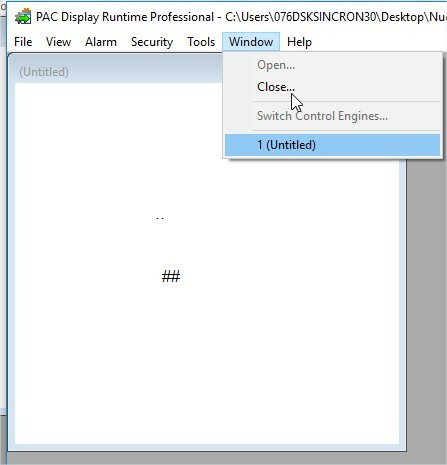 I add the field for visualization and configure the Tag; The problem is that when I run the PacDisplayRuntime the data is not updated and only updated if I select to open the same window again, I do not remember having changed any configuration, I would appreciate your help to solve this problem. I currently have version 9.6g installed. It should be added that there is another computer with this same version and does not present the problem, so I ask if there is any configuration in the software that performs the update of the data according to the time programmed (1, 2, 5 … seconds). the writing function works correctly. This is likely something that’s been fixed in a Beta version, please email support@opto22.com for info and instructions on obtaining that Beta. Hi, managed to solve it? I’m facing exactly the same issue as you. Running version R9.6g on windows 10 pro. This is solved with a pac Display update, adding the files to the installation folder and you’re done. I’m sorry for responding very late. Can you share me the file which need to be added to the installation folder? 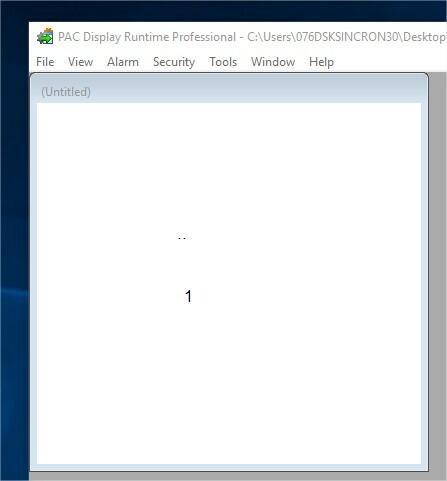 If you are using version 10 be sure to download the files for that version of Pac Display. Typically they are beta files. The link above is for version 10.1 of PAC Display. I have been asking for years that they put a little readme file in the folder giving a general description of what was addressed in that update so we can decide to load them or not. It would be nice to know what they are working on. It would help us know if we need to open more tickets or not. I have been asking for years that they put a little readme file in the folder giving a general description of what was addressed in that update so we can decide to load them or not. It would be nice to know what they are working on. It would help us know if we need to open more tickets or not.